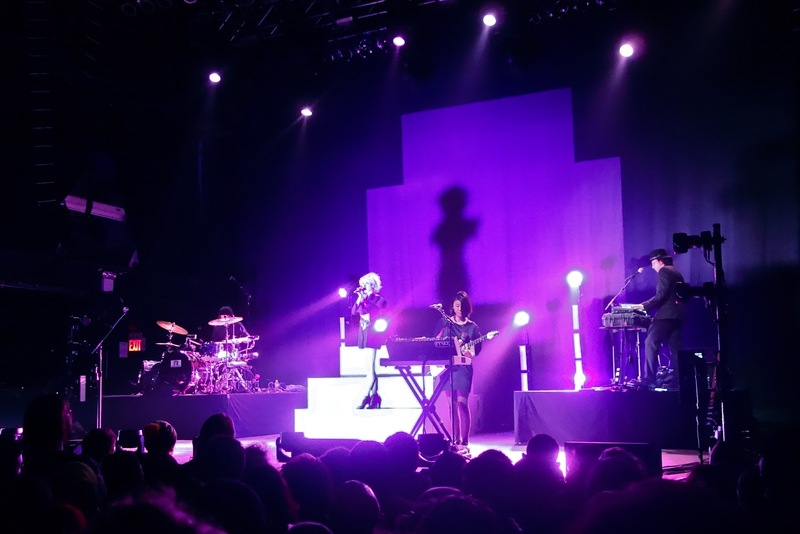 Annie Clark, aka St. Vincent, kicked off the North American leg of her latest tour with a sold out show at Terminal 5 last Thursday night. Her self titled record had officially come out the day before, but I'd gotten a copy a week earlier and fallen hard. It's a stunning collection of tracks from start to finish, each one with a story to tell like the charms of a Pandora bracelet. Reading her lyrics (recommended) reveals that Annie is maturing and ready to get more intimate with listeners. While it lacks a bit of the muscle she flexed in "Strange Mercy", it is arguably her best overall album, which is saying something because she has yet to swing and miss. The consistent brilliance of her catalog thus far is rooted in her strong work ethic and deep love for making music that explores uncharted territory. While many contemporary artists rehash what's worked, Annie Clark makes complex pop music that sounds like tomorrow and feels like nothing else. In a set heavy with her latest work, she and the band put on one hell of a show. The new stuff, clearly inspired from her work with David Byrne, is surprisingly danceable and borderline funky on some numbers. The crowd at Terminal 5 grooved along to "Rattlesnake" and "Digital Witness". The abrupt shift from kick drum pop to fuzz rock on "Huey Newton" was a beautifully jarring moment live. The place instantly turned from a sea of bopping heads to one of raised fists. The numbers from Strange Mercy showcased her chops on guitar. "Year of the Tiger", "Surgeon" and "Cheerleader" all included stunning solos, her fingers firing out notes while running around on the neck like some sort of coked up white spider. Musically, she and her touring band were in fine form. As for her performance, I found it a bit too scripted. She clearly had written out what she wanted to say between songs. I'm sure it was an attempt to keep things cohesive, but it created an emotional barrier between her and the audience. Her dance moves were also preplanned, made up of robotic movements combined with shuffling feet for a frisky fembot vibe. Again, fun and quirky, but too forced. I think she's just more musician than entertainer. 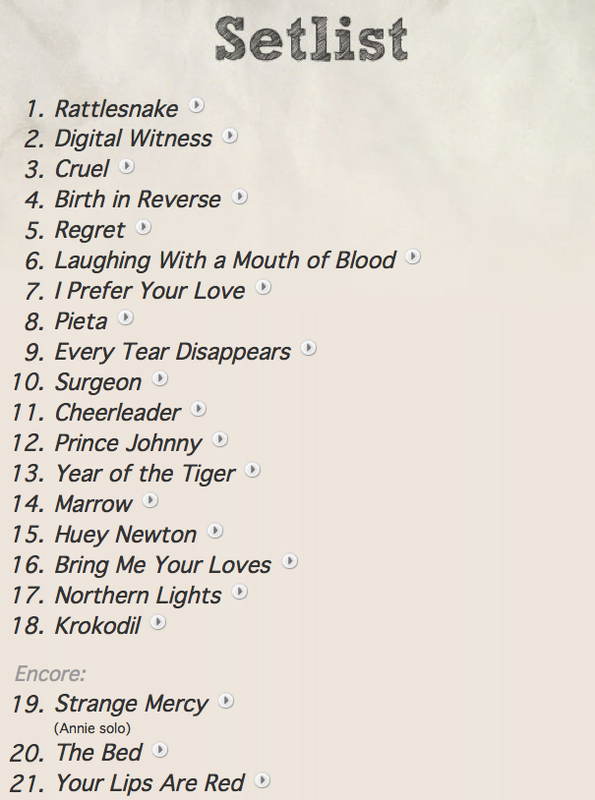 Still, with her attention to detail, I wouldn't be surprised if the show gets stronger after each stop of the tour. Do yourself a favor. 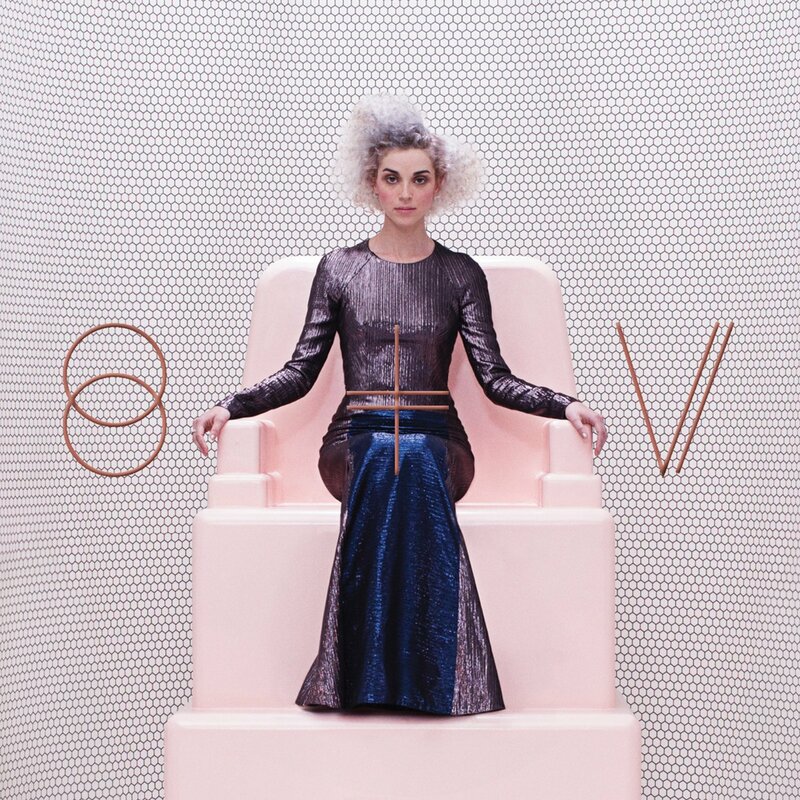 Listen to the albums, watch the videos, and get a ticket if St. Vincent is coming to your town. I'd be shocked if you came out the other side regretting the ride. 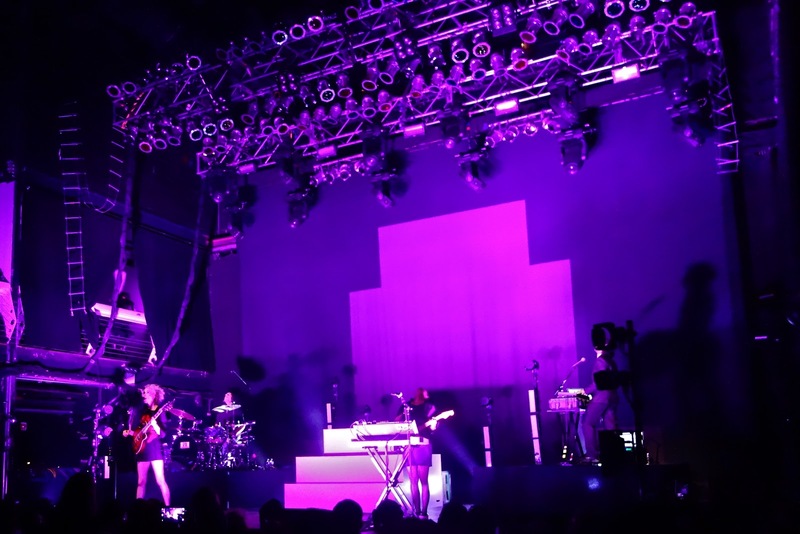 Sunday Video: How to Do a Rainbow Kick With St. Vincent from Rookie on Vimeo.